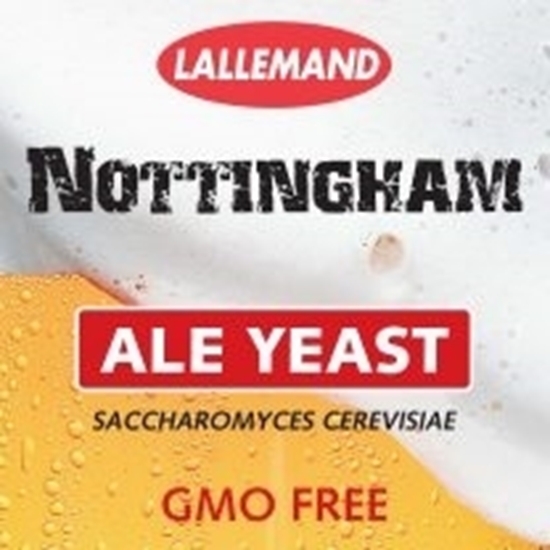 Nottingham British Ale yeast is a single strain selected from a multiple commercial culture used in the United Kingdom. 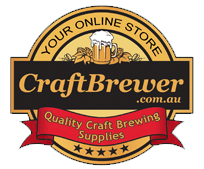 The propagation and drying processes have been specifically designed to deliver high quality beer yeast that can be used simply and reliably to help produce ales of the finest quality. No colours, preservatives or other unnatural substances have been used in its preparation. 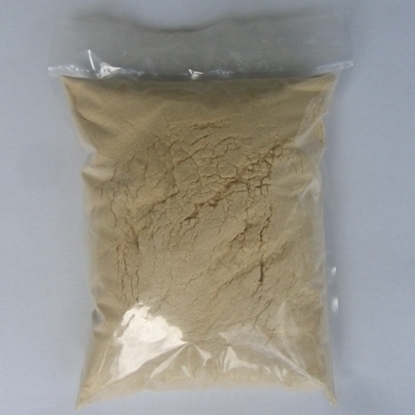 The yeast is produced in ISO 9002 certified plants. 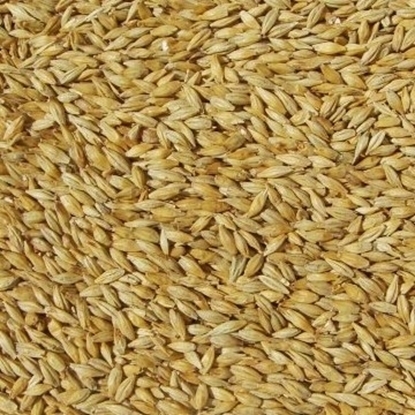 Good tolerance to low fermentation temperatures, 14°C (57°F), allow this strain to brew lager-style beer. Recommended 14° to 21°C (57° to 70°F) fermentation temperature range. • When the recommended 1gm per litre of active dried yeast is used to inoculate, a yeast density of 5–10 million cells per millilitre is achieved. Brewer may experiment with the pitching rate to achieve a desired beer style or to suit processing conditions. • Sprinkle the yeast on the surface of 10 times its weight of clean, sterilized (boiled) water at 30–35°C. Do not use wort, or distilled or reverse osmosis water, as loss in viability will result. DO NOT STIR. Leave undisturbed for 15 minutes, then stir to suspend yeast completely, and leave it for 5 more minutes at 30–35°C. Then adjust temperature to that of the wort and inoculate without delay. • Attemperate in steps at 5-minute intervals of 10°C to the temperature of the wort by mixing aliquots of wort. Do not allow attemperation to be carried out by natural heat loss. This will take too long and could result in loss of viability or vitality. 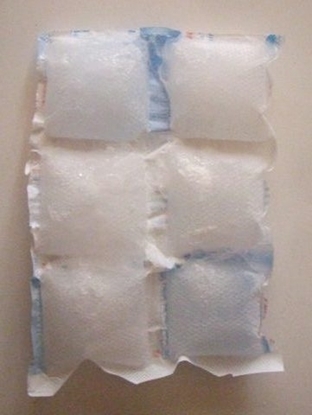 • Temperature shock, at greater than 10°C, will cause formation of petite mutants leading to long-term or incomplete fermentation and possible formation of undesirable flavours. 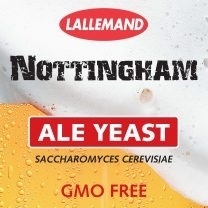 • Nottingham British Ale yeast has been conditioned to survive rehydration. 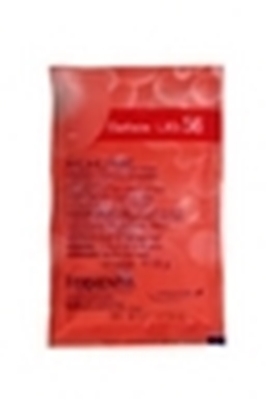 The yeast contains an adequate reservoir of carbohydrates and unsaturated fatty acids to achieve active growth. It is unnecessary to aerate wort.